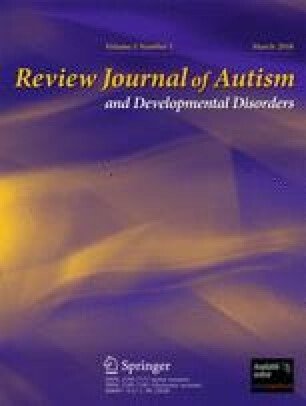 This paper systematically reviewed the literature from 2002 to 2016 describing the risks of autism spectrum disorder, intellectual disability and attention deficit hyperactivity disorder in children of immigrant and refugee backgrounds. Compared to children of non-immigrant mothers, 10 studies found increased risk of autism and intellectual disability and four studies found increased risk of autism without identifying concomitant intellectual disability. Very high risks were observed if the mother’s country of birth was a developing country or region. One study found higher risk of attention deficit hyperactivity disorder in a sample of children who were refugees. Children of immigrant and refugee backgrounds from developing countries had greater risks of a neurodevelopmental disorder compared to their peers whose mother was locally born. The authors would like to thank the Developmental Pathways Project at Telethon Kids Institute, Perth, Western Australia, for their support and funding of this study and her Ph.D. This work was conducted as part of PhD study and the first author received a PhD scholarship from the Developmental Pathways Project, Telethon Kids Institute, Perth. Alberta Innovates - Health Solutions (2012). Knowledge translation in Alberta: Health Research with impact. ((3, 1-108), Alberta TO (3), 1-108, Alberta. Available at http://www.aihealthsolutions.ca/media/KT-Casebook-V3-2012.pdf. Accessed 17 Oct 2017. Fernald L., Kariger P., Engle P., Raikes A. (2009). Examining early child development in low- income countries: A toolkit for the assessment of children in the first five years of life. In Kariger P, Fernald L, Engle P and Raikes A. (Eds.). Washington DC: The World Bank. Available at http://www.cup.ualberta.ca/wpcontent/uploads/2011/06/Crosscultural_Handbook.pdf. Accessed 17 Oct 2017. Gokiert R., Chow W., Parsa N., Rajani N., Bisanz J., Vandenberghe C. (2010). Early childhood screening in immigrant and refugee populations: Community-university partnership for the study of children, youth and families. Edmonton Alberta: University of Alberta and Canadian Council on Learning. Available at http://www.cup.ualberta.ca/wpcontent/uploads/2011/06/Crosscultural_Handbook.pdf. Accessed 17 Oct 2017. State Government Victoria Department of Education and Early Childhood Development (2011). Refugee Status Report: a report on how refugee children and young people in Victoria are faring. Melbourne: State of Victoria. Available at http://www.myan.org.au/file/file/useful%20resources/refugee-status-report.pdf. Accessed 17 Oct 2017. The Joanna Briggs Institute. (2014). Joanna Briggs institute reviewers manual: 2014 edition/supplement. Adelaide Australia: The Joanna Briggs Institute. Available at https://joannabriggs.org/assets/docs/sumari/ReviewersManual-2014.pdf. Accessed 17 Oct 2017. The World Bank (2016). Countries and economies http://data.worldbank.org/country.